Williamson, NY (March 21, 2019) – According to authorities, a man was struck by a vehicle and seriously injured in a personal injury accident that took place on Wednesday night, March 21st. Police stated that the incident took place on Route 104 around 9:30 p.m. and prompted a response from Mercy Flight. The accident happened on Route 104 in the vicinity of Pound Road for reasons that have not been confirmed as it is unclear as to whether or not the victim was in a crosswalk at the time. Police stated that the man was hit while crossing the street and paramedics were immediately called to the site of the collision where a Mercy Flight helicopter had been dispatched. The victim was flown to Strong Memorial Hospital and has been listed in critical condition at this time. No further information concerning the crash has been made available as the cause is under investigation and the identity of the victim has not been released. Our most genuinely heartfelt sympathies are wholeheartedly extended to the victim of this accident, first and foremost. We currently maintain hope for his full recovery. 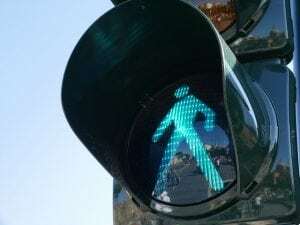 Pedestrian accidents in New York are commonly injurious or fatal, and often those which occur at night or at a high rate of speed. Moving forward, it is absolutely imperative for the victim to understand that they may likely have significant rights at this time. Our New York accident attorneys at Hach & Rose have dedicated their lives to helping those who have suffered due to the actions of reckless drivers and other negligent entities. We realize that there is almost nothing as challenging as dealing with a sudden injury and we are here for you 24/7 to answer any questions you may have. If you have been hurt in a pedestrian accident due to another party, please don’t hesitate to call 212-779-0057 today.